We have added lots of events. They change week to week. 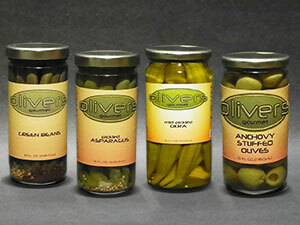 Call (360-977-1440) or email (info@oliversgourmet.net) to get the latest market and festival updates. Thanks! Saturday Market at Port is uniquely situated on the waterfront in Ilwaco, WA near the mouth of the Columbia River. Shop for fresh farm produce, regionally created arts & crafts, potted plants and cut flowers. Picnic on smoked salmon chowder, juicy hamburgers and more. Munch on crunchy kettle corn, hot donuts, handmade sausage and yummy baked goods. Stroll along the harbor front and watch the people, dogs and boats go by. Explore the historic fishing village of Ilwaco, the Columbia Pacific Heritage Museum and Cape Disappointment State Park. 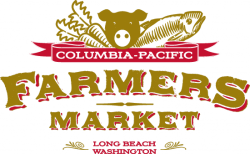 The Columbia-Pacific Farmers’ Market is dedicated to supporting our working food producers and artisan crafters honoring their way of life, celebrating our unparalleled food, and getting together as a community to have fun. The market operates in downtown Long Beach June through September on Friday afternoons / early evenings, 3 pm to 6 pm. 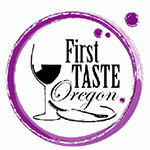 Join us for Oregon’s First Taste of the new year! 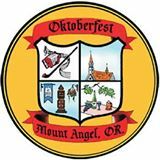 The largest annual family oriented festival in the greater Cowlitz County area of Southwest Washington State, held each year in Longview, Washington. The Festival began in the 1960′s and now draws in excess of 30,000 people to events culminating on the Fourth of July with a spectacular fireworks extravaganza. Centered around Lake Sacajawea, the Festival has become a time honored tradition in Longview’s history. The Festival attracts many visitors each year to the local area and boasts an average annual growth rate of 12% over the last five years. In addition to a Fourth of July fireworks show, the Festival consists of many events and includes an American Lumberman’s Association (ALA) sanctioned Timbersport competition, including three World Championship events, Cardboard Boat Regatta, continuous daily entertainment, arts & crafts booths, parade and more than 20 food booths to tickle anyone’s taste buds. 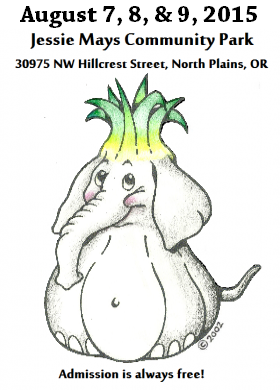 Thousands of people will gather to experience two evenings, and three days of good music, food, entertainment, and fun at the annual North Plains Elephant Garlic Festival. As the event grew in popularity, it was suggested by a local farmer that the festival adopt the elephant garlic theme. 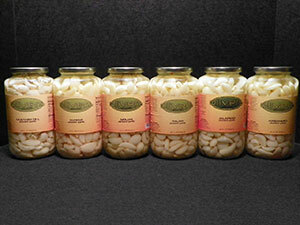 Thus in 1997 the North Plains Elephant Garlic was born. The purpose of the festival is to be an outstanding free local community event, with art and great music. Getting all geared up to put together another fantastic event that supports your local community and charities. This year there will be a best of competition for you to weigh in on, yard games to keep you competitive and entertained, a rum bar, a mead and cider tent and of course more than 80 local and regional brews for you to sample to your beer loving hearts delight. The Washington State Garlic Fest has a great line up of food vendors featuring many delicious offerings. Garlic Themed Cuisine, Artisan & Craft Vendors, Kids Activities, Chef Demonstrations, and Live Music ALL WEEKEND! This is when the fun starts for summer. Vendors from all over converge on the tiny town of Packwood in a free-for-all of products, goods, hand-made items, food and entertainment. You may never have seen an amalgamation of things like this. Starts Friday and runs through early afternoon on Monday. The Flea Market is so big you’ll want to spend several days. And visit Mt. Rainier while you are in the neighborhood. Or take the White Pass and Chinook Scenic Byways drive. On these weekends it can be stunningly beautiful. a celebration of the harvest in Bavarian style. Something for everyone at Oktoberfest! Join us for our 54th Celebration! 4 Music Stages, a Carnival, Dock Dogs, Hundreds of Artist Booths, 60 food booths, Inflatables, a Parade, and of course, Spawning Salmon. Each fall, Hood River Valley hosts an old-fashioned harvest festival with local produce, food products, arts and crafts, wine- and beer-tastings, and all the best our County has to offer. Visitors seldom leave Harvest Fest without boxes of Anjou pears, heirloom apples, pumpkins, berries, and flowers, and a smorgasbord of prepared foods from pies to jams and smoked salmon to chocolate covered cherries. 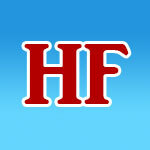 Harvest Fest is a great place to get a head start on holiday shopping. Here you’ll find an array of arts and crafts, including glass, wood sculpture, ceramics, photography, fiber art, jewelry, and much more. With music all day and entertainment in the evening, a kids’ zone , and a food court with local and traditional favorites, this October festival is a must. Harvest Fest is on the waterfront overlooking the Columbia River, where visitors can relax and watch windsurfers and kiteboarders play on the water. The Ladybug Bazaar, held on the first Saturday of November each year, is the oldest large bazaar in Southwest Washington. GFWC has been sponsoring the bazaar since 1967. Through the years bazaar profits have made many community service projects possible. You can spot GFWC memebers at the bazaar by the Ladybug vests they wear. With 186 spaces in two gyms and a mezzanine there is room for a wide variety of merchandise and still maintain wide aisles for ease of shopping! All wares are handcrafted by local artisans! Commercial booths are not allowed! There is a place to relax and have a snack or two! For years the Ladybug Bazaar has been a social event, a place to meet old friends! Guys enjoy the bazaar too! 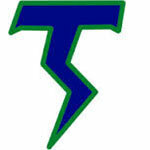 Mountain View High School Band Boosters 36th Annual Holiday Bazaar will be held on Saturday, November 10th, 2018 at Mountain View High School. More than 150 tables of handmade crafts, jewelry, gifts, and baked goods. Concessions open all day. Play music throughout the day. The 20th Annual Holiday Food & Gift Festival returns to Redmond November 17th-19th at the Deschutes County Fair & Expo Center. This festival is one of the largest holiday celebrations in the Northwest drawing 7-8,000 attendees annually who happily complete their holiday shopping early. With over 120 exhibitors the festival will provide shoppers with one-of-a-kind gifts that cannot be found anywhere else. Featuring art, crafts, jewelry, clothing, wood, music, photography, toys, Christmas décor, and much more makes this a gift buyer’s delight. There is a large gourmet food area where you can sample and purchase a wide range of food items including tea, chocolates, pasta, soups, dips, meats, coffee, jams, shortbread, chili, sauces and many more delights! One of the largest and oldest bazaars in Clark County with over 200 tables. Quality handcrafted dolls, doll clothing, jewelry, stained glass, woodwork, ceramics, porcelain, pottery, wreaths, flowers, quilts, blankets, ornaments, soaps, bath works, art prints, paintings, needlework, homemade jams, pillows, honey, and many more one-of-a-kind items Thousands of ideas for all of your holiday, gift-giving, and home decorating needs. 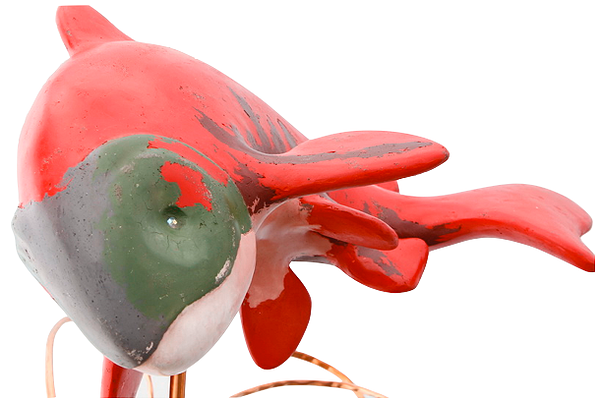 This colorful holiday event has been produced by the same small local company for 34 years. With innovation and creativity, the show has kept pace with todays consumers throughout its history, offering a great opportunity to buy unique gifts in all price ranges. The show offers 400 booths of juried handcrafted plus 500 booths of selected commercial products. Since 1982, the population of the Portland/Vancouver area has considered the Christmas Bazaar to be both a holiday tradition and a great resource for shopping for the holidays. If you are a prospective exhibitor, we invite you to look at the Exhibitor page for more information on booth fees, attendance and on the ease of participating in the show. 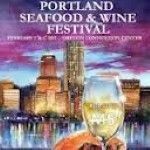 Come join us and sip some of Oregon’s best wines while indulging in all the fresh coastal seafood and culinary delights at the 13th Annual Portland Seafood & Wine Festival! What luck that this Portland Tradition falls right in the middle of Dungeness Crab season. We encourage you to bring the whole family! With face painters, balloon artists and so much more your everyone is sure to look forward to coming every year! It wouldn’t be winter on the coast without the Newport Seafood & Wine Festival. 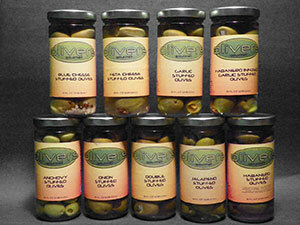 It’s the premier seafood & wine event of the west coast and the original Northwest seafood and wine festival. Artists and Craftsmen showcase a variety of fine art, sculpture, photography, pottery, and jewelry. Pacific Northwest Wineries pour the finest of wines and culinary professionals serve cuisines of delectable delights to entice your palates. Since 1978 the Newport Seafood & Wine Festival has attracted visitors from around the world to the central Oregon coast. The 2018 festival will be packed with all of the fun, food and wine you’ve come to know and love at the Newport Seafood & Wine Festival! Enjoy the culinary variety and relaxed atmosphere. Watch some of the area’s best Chefs in the Northwest demonstrate their skills. Talk with winemakers and vintners and learn the intricacies of their trade. 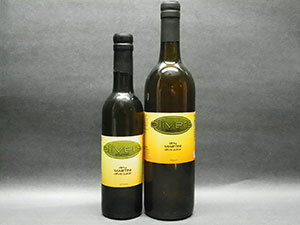 Purchase by the taste, glass, bottle or case. Visit with the artisans and view their work which is available for purchase. First 1000 Attendees will receive a free wine glass on Friday. See you there! The 37th annual Astoria Warrenton Crab, Seafood & Wine Festival to enjoy great coastal cuisine, arts and crafts, wine tasting and more! The festival is hosted by the Astoria-Warrenton Area Chamber of Commerce. This is when the fun starts for summer. 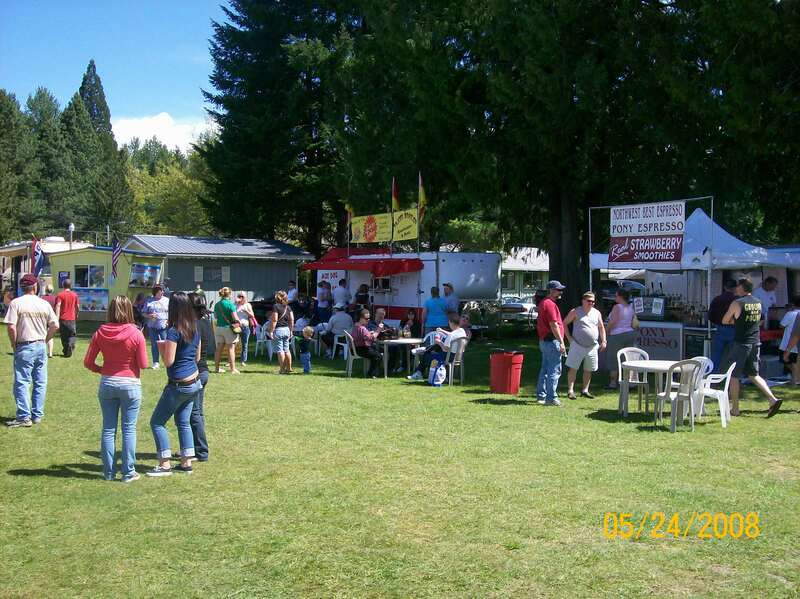 Vendors from all over converge on the tiny town of Packwood in a free-for-all of products, goods, hand-made items, food and entertainment. You may never have seen an amalgamation of things like this. Starts Friday and runs into mid day Monday. 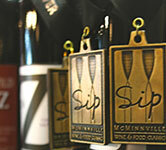 150 Wines, 25 Local Brews, Spirits, Great Food. Did you know that Washington is ranked #2 in wine production for North America? And the Craft Winefest of Vancouver features wineries from all over Washington State including our own Clark County, Walla Walla, and Yakima Valley regions. The Craft Winefest of Vancouver is an event that benefits the community through donations to local charities. The Craft Winefest of Vancouver has proudly partnered with Evergreen School District Foundation for 2018. 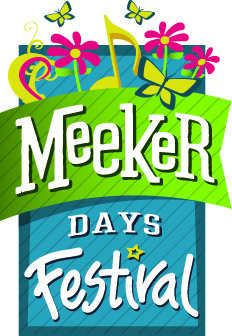 The Meeker Days Festival hosts over 200+ booths featuring: Art & Craft vendors, Commercial vendors, Non-Profit vendors, Farmers’ Row, and Specialty Food Vendors! On the streets of Meeker and Meridian, you will find our local area businesses offering up some great promotions and products! Always something interesting to be found in this area! 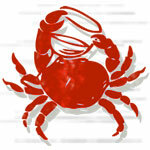 In the land of clams, crab and oysters what are folks looking forward to in June? Garlic, and plenty of it! 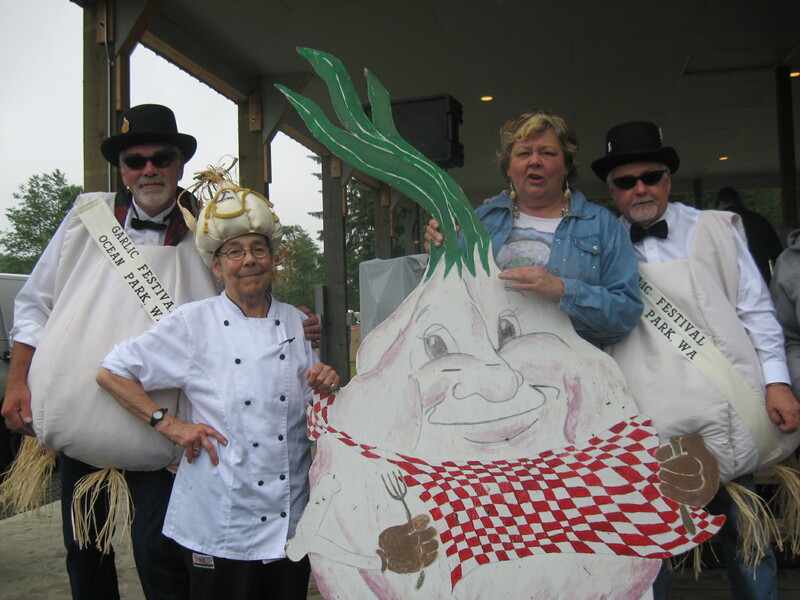 Celebrate the passion for this exalted bulb with the faithful throngs who make their annual pilgrimage to the NW Garlic Festival which is held each June in the seaside community of Ocean Park, Washington, located on the Long Beach Peninsula. This Garlic Olympics of Gastronomy is not held for the region’s Garlic growing ability. This Festival was born out of love of great, Garlic laden cuisine!